Have you ever done experiment with your computers?..Want to know about how different parts of computer are interconnected? How two or more computers are interlinked for the purpose of sharing data? Answer of these questions are hidden behind the concept of Computer Hardware & Networking. Computer Hardware & Networking is the demanding career field among the young ones. Hardware and Networking domain is the highest paying and fastest growing domain in IT sector. Internet is the largest example of computer networking. The network devices are Router, Switch, Modem, Hub and Data card (Dongle). Network Interface Cards (NICs) are the most common type of hardware network on a network. Certificate courses in networking includes LINUX that is one of the popular course in networking for LAN administration. CISCO certifications are CCNA, CCNP, and CCIE. One can easily make their career in hardware and networking field after completing B.E./B.Tech or MCA courses in computer science engineering. In India, there are many renowned colleges that offers courses in hardware and networking field. The courses are offered at different levels. Candidates want to enroll in several diploma or degree courses are required to pass higher secondary examination with PCM group. Some institutions organized their own entrance test for providing admission to bachelor degree programmes. After the completion of B.Tech in computer science engineering, you can make your career in networking field. For advancement or to gain expertise in networking, you can pursue M.tech. Admission into M.Tech programme is done through Graduate Aptitude Test in Engineering (GATE 2019). It is the national level entrance test conducted once in a year. Candidates can also apply for IIT JAM 2019 and IIST 2019. Large use of computers, laptops, mobiles, desktops and internet in private and government organizations increases the requirement of hardware and networking professionals. Huge career opportunities and jobs are there in the field of computer hardware and networking. There are extensive use of computers in colleges, schools, organizations, hospitals, banks, etc. Companies in hardware manufacturing, system design, software development requires professionals who are well-versed in this field. After earning master’s degree in hardware and networking, individuals can find employment in colleges for the post of lecturer. Where hardware professionals are required? Hardware professionals and network administrators are required in IT and web hosting companies. Today, Information Technology (IT) sector gaining popularity and due to this advancement in IT sector, lucrative job opportunities are available in public and private organizations. Software companies, hardware manufacturing companies, call centers, system design companies, telecom companies, hardware repair shops requires networking and hardware professionals. One can also opens his/her own hardware repair shops after gaining knowledge and experience. For a good position in large firms, master’s degree in computer science engineering is needed. It broadens career opportunities for computer hardware engineers. Design computer hardware and supervise the production of computer hardware equipment. Perform testing and verifying hardware equipments. Update existing computer equipment to make it compatible with the latest softwares. Provides support to technicians and other technical support personnel. Ensure that computer works faster and efficiently. Monitoring the network performance and security. 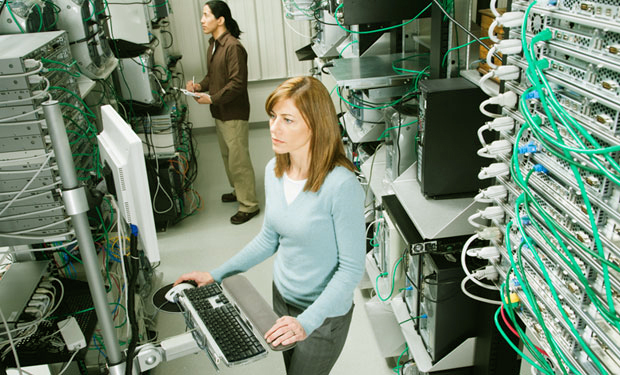 Perform network maintenance and ensure networks are running smoothly and efficiently. Support network and computing infrastructure. Configuring and installing various network devices (e.g., routers, switches, firewalls, load balancers, VPN, QoS). How much salary does hardware and networking professional earns? Dedicated and hard working professionals can reach to the top position soon. In India, a fresher may get the salary package of 3 or 3.5 lacs per year. Experienced hardware and networking professional receives good salary package. As you will get more experience in an organization, your salary will increase accordingly. Salary will also depends upon your job profile and type of organization you are working for. For more information about Career in Computer Hardware & Networking, you may ask us by commenting below. am in class 12 now preparing for bords !! so i wanna know is hardware and networking advanced courses are a good career building opportunity for me ? Is there subject is required of 12th?? Can I do this course??? i am sailendra rana i have complete 12th from science. and now i have done CITA(desktop,ccna,mcsa). so please help me. That what i do.. kia bta sakte hi . ki computer hardware and networking me jane ke liye 12th pass chahiye. ya graduate chahiye .. aur kia isme hane ke liye BCA ya ..Bsc jaruri hi..
mera pass graduate certificate nahi hi. kia kru sir . you can make career in hardware n networking after 12th. Hello sir,my self maltesh iam an bussinessman but i not completed the eduction I stoped my eduction on 9th std some home problems but now i want to do now hardwear and networking course there is future in my decision there is a future means how it will be hlepful in my carrier but now i want to do it. Plz sir help me how i must do it. sir! i want to hardware and networking course so may i get help to know which institute would best in Delhi? as soon as reply me i’ll grateful to you. Yes, of course you can join it. Sir I completed bsc computer science. And I was interested in ccna course so can I go through this course or not. Please give me one suggestion. Can I get any jobs after completing this course. Please give me one suggestion. good choice, you may have job after it. Sir I completed B.A in odisha. And I was interested in ccna course so can I go through this course or not. Please give me one suggestion. I have complete my msc in computer science. So how can I start career in networking .which course I do in which institute? Sir I am currently in b.tech final year and my interest in hardware and networking. Hello Sir! My name is Akash Dubey and i live in Auraiya District. I have done my Graduation with Science stream.But now I’m Interested in computer Hardware and networking course.So please Can you suggest me,What is the Best course for me.? Sir I recently passed 12 science and want to do B. E computer engineering . Please suggest wht should I do? Hi I am Neelesh and I have completed 12 this year , I want to make carrier in computer hardware and networking. So which course will be best and from which college. Please suggest. You can join the B.E/B.Tech or BCA in computer science. sir good euening. Sir i was compleated DCME In 2011.what can i do now? i am interested hardware and networking. What can I do after did hardware and Networking course . My son has just given 11 exams and i want him to go for a computer hardware course for short period. Kindly read this sir….I graduated as a BSC(Physics hons) student from the university of Calcutta in 2016. I don’t have any plan for MSc. Our financial background is not good. All I have been doing now is preparation for Gov job exams but I am stuck on uncertainty. I can’t afford to get myself admitted to a renowned coaching center because it is too expensive. Under all circumstances I have decided that Hardware and networking course will be the cheapest and the best option for me to pursue because it will set up my future and will help me get a good job in any private sector in case I don’t get a job in Government sector. Kindly guide me sir. I don’t know whether I have made a right decision. Computer hardware and networking is also a good job. If you have interest in this field, then you can process but set your mind in one field only. I’ve completed my 12th and I’ve done a 2 months course of Hardware n Networking….Can I get any job by this qualification? Sir my name is prabhat mai is fild mai jana chata hu plse help…? You can go in this field if you have interest in computer. sir i am new …so mera koye knonleadge nahi hain computrr hardware ke bare main..but main ya course karna ke liya tai ar hu .plz help me ..kasa hoga ya course..? I am completed B Tech, EEE Branch. So can you suggest which one is better to do? according to my suggestion you have to do a course of networking and hardware..That’s good for u.. bcoz now a days this course is demanded in it sector… Go for it..
i have completed BE from EC can i do this for getting jobs in MNC. i am discontinued my BE.Becox of Dont have money can i do tis course…. I am a B.Com student i know about computer.can i do this course? I will just appear in class 12 exam with stream science ,maths. Is this better for me ?